This year, we did Thanksgiving lunch with M's family and dinner with mine. 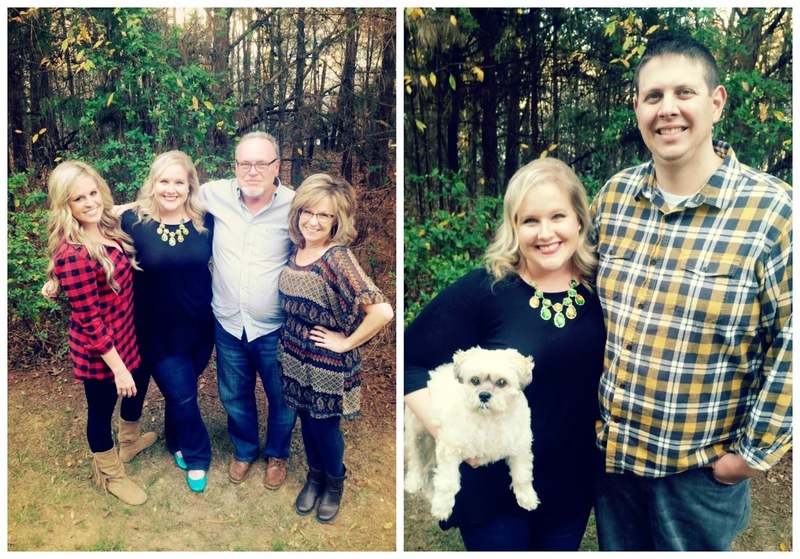 Our favorite football team happened to be playing on Thanksgiving this year so my family's gathering was much more casual and centered around the game. (which they won!!) I didn't take any food pics because...well...isn't all Thanksgiving food about the same? HA! But we did take some family pics...(which is kind of a thing in my family). M is learning that he's the obligatory photographer and he's getting pretty good at it. He knows to take them from up high and to make sure the background is good. Bless it. Promptly the day after Thanksgiving, we commenced decorating the P household all-things-Christmas. This included the tree, fine-tuning the mantle (which I'd already got a head start on), bookshelves, tabletops and the outside lights. Over the last few years I've been collecting Christmas trees and displaying them randomly throughout my house. This year, I decided to group them all together on the mantle. I love how it turned out. I'm going to add to some fresh greenery to it this week. New trees this year are the fourth from the left tall bronze one from Kirkland's (only $17!!) and the yarn covered one on the back of the right side. I made this one. 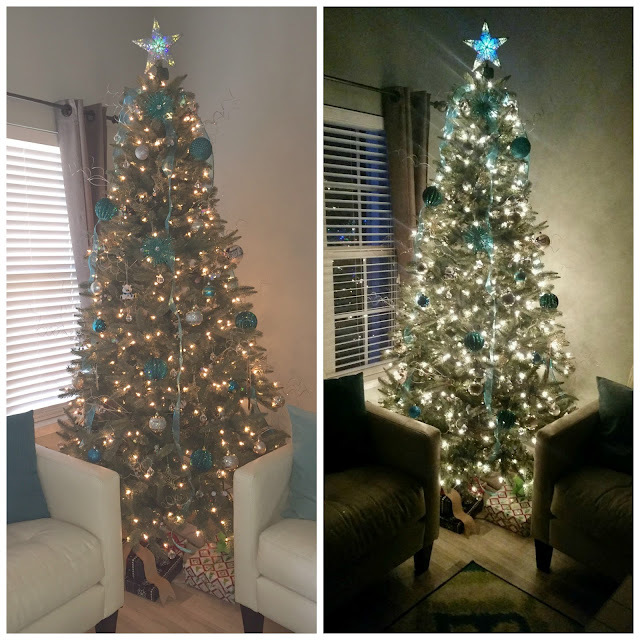 The tree this year is teal, silver and gold themed. I purchased a few additional teal ornaments this year to add to my current teal collection. I decided to purge my old Target ornaments from 5+ years ago because I'd grown tired of the color scheme. But I kept the teal ones and incorporated them into this year's tree. There's still a few things left to decorate and take photos of. Stay tuned for those. I only have a few more Christmas presents to procure and wrap and I'll be done with that! I try to be done before Thanksgiving so I'm a little behind schedule this year. I hope your Thanksgivings were all great too! Everything looks great! I group trees on top of my entertainment center and love how they look together. Yours look awesome!